fans can officially mark their calendars for April 25th. 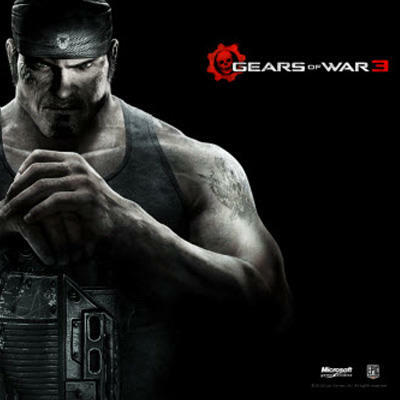 That's the launch date for the Gears of War 3 multiplayer beta, as announced today by Microsoft and Epic Games. Those that purchased the Epic Edition of Bulletstorm will have beta access a full week early, beginning April 18th. Those that did not pick up Bulletstorm but want to play in the beta will need to pre-order Gears of War 3 from GameStop. That will earn you access to the public play session. The beta is scheduled to last until May 15th. Epic has also decided to make joining the beta competition even more appealing to fans. They've included a bunch of full game unlockables that you'll earn by participating in their dry run. You'll need to work to get the goods, but they are definitely prizes to be desired. Beta Tester Medal – Complete one match in the beta to unlock the Beta Tester medal, which will carry over to your gamer profile in the final game. The Beta Tester title will be featured in the "Gears 3" multiplayer lobby as well. Gold-Plated Retro Lancer – Show your ultimate "Gears of War" fandom by unlocking the Gold-Plated Retro Lancer. Complete 90 matches in any game type to unlock it for the beta, and score 100 kills with it once unlocked to carry the exclusive weapon skin over to your gamer profile in the final game. Flaming Hammerburst – Complete one match by Sunday, April 24 and unlock this weapon variant. Flaming Lancer – Complete one match during the week of April 25 and unlock this weapon variant. Flaming Sawed-Off Shotgun – Complete one match during the week of May 2 to unlock this weapon variant. Flaming Gnasher Shotgun – Complete one match during the week of May 9 to unlock this weapon variant. As if Gears fans needed a reason to play. Still, this choice to sweeten the beta pot with all sorts of unlockables is one that will likely work massively well with gamers. And, access to a beta that provides free in-game content is a great reason to pre-order a product. We're assuming this effort will drive a ton of sales. Gears needs the stress test. Each game has launched with terrible multiplayer problems. Hopefully this public beta will let Epic work the kinks out. Just don't expect it to be fully operational on day one.